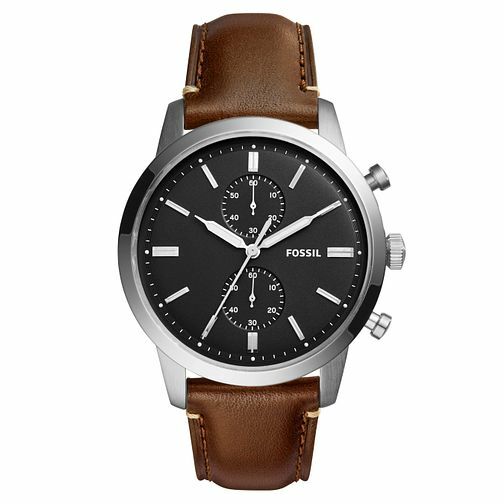 Inspired by architectural and automotive design of the 1960s, the Townsman stainless steel strap watch by Fossil is styled with a black chronograph dial with contrasting silver tone baton markers. Perfect for adding polish to his look, day or night. Embrace everyday style with Fossil.